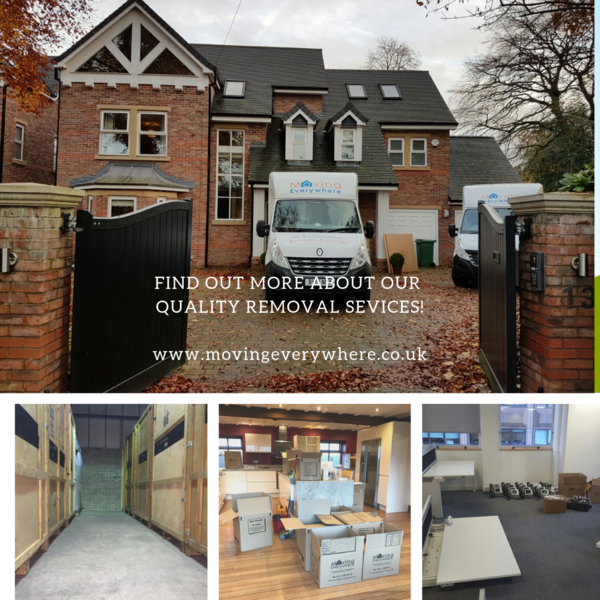 We are an established Manchester Removals and Storage company located at Trafford Park. 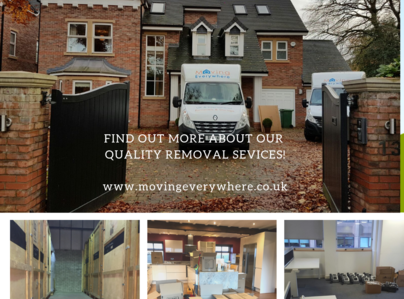 We provide a full range of Removals and Storage Services for both domestic and commercial clients. 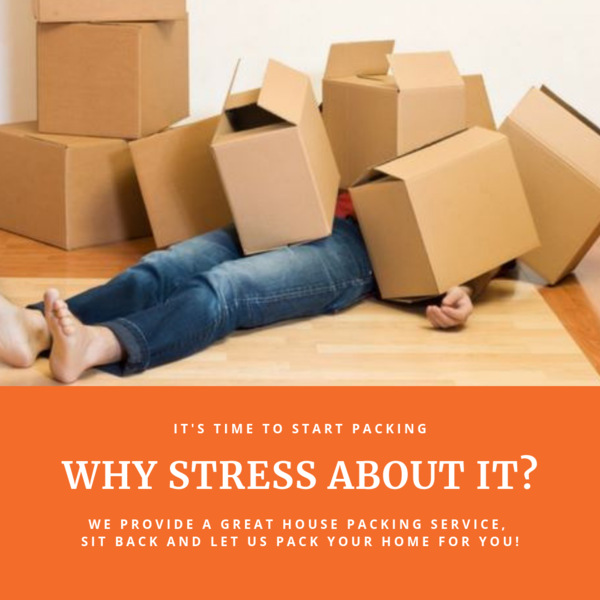 We look after customers who are moving locally in Manchester, moving to or from other parts of the UK or may even be moving overseas. 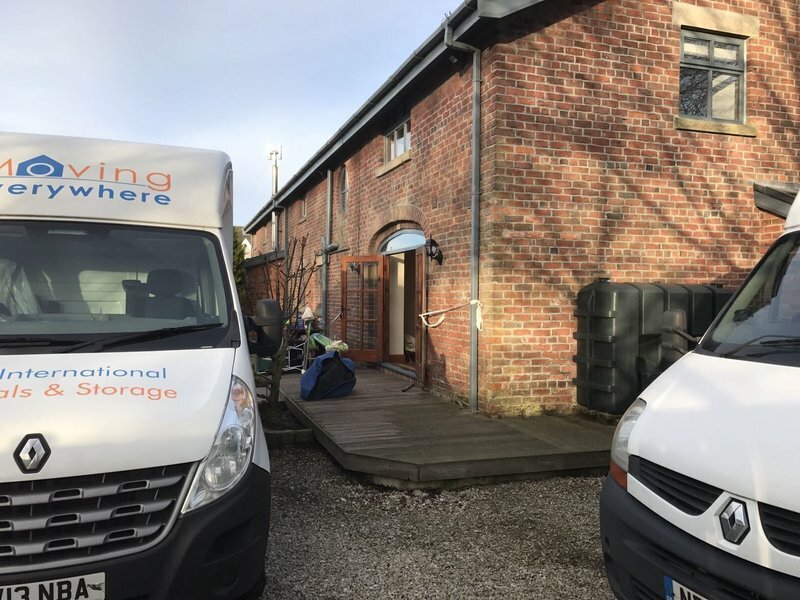 We believe in providing a quality Manchester removals and storage service which can be verified via many testimonials which can be found at http://www.movingeverywhere.co.uk. We have full insurance (goods in transit, public and employee liability cover). We look after your furniture and effects with furniture covers and blankets to minimise the risk of damage during transit. 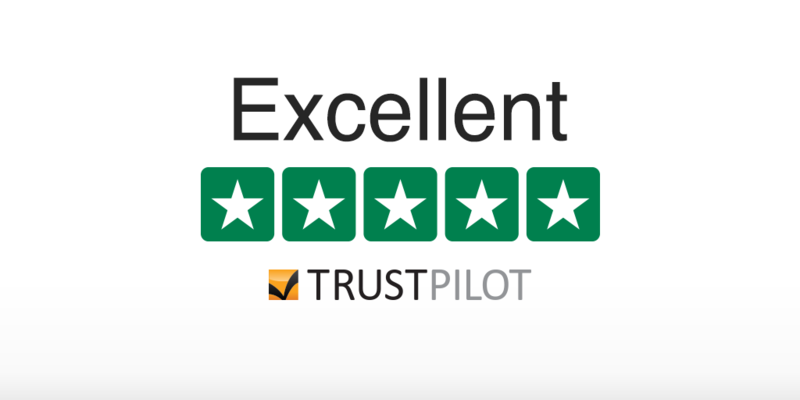 Our staff are professional, helpful and above all are there to make your move go smoothly - read some of our reviews on our website to see what you can expect if you use our removals service in Manchester. 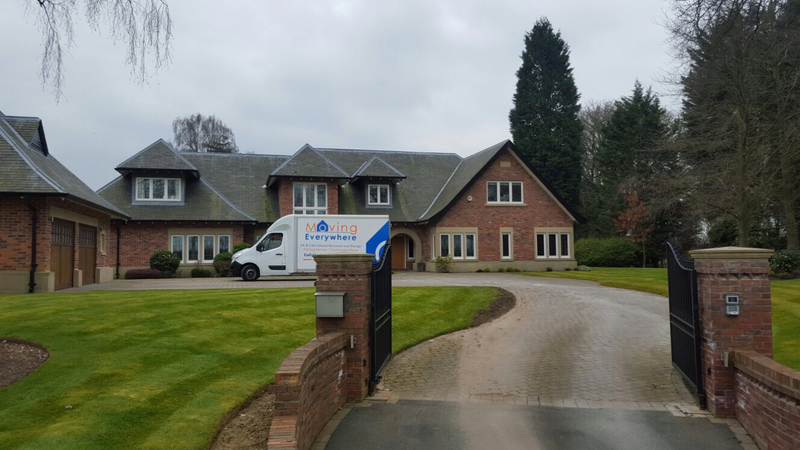 We provide our house moving service 7 days a week, to book a home survey call 0161 238 8915. I used Movingeverywhere for my move from Essex to Yorkshire and it could not have gone smoother. The guys showed up exactly when they said they would, had everything in the van before I could even blink almost and delivered at the exact right time the next day, (as agreed) - again the van was unpacked in super speedy time. Nothing was damaged during the move (either house or furniture) and the boys were super polite (Nathan and John). Thank you so much Nick for making a very stressful situation extremely manageable. I really felt I could trust these guys and that is what I wanted. I found Movingeverywhere on Which Trusted Traders where their reviews are very good. 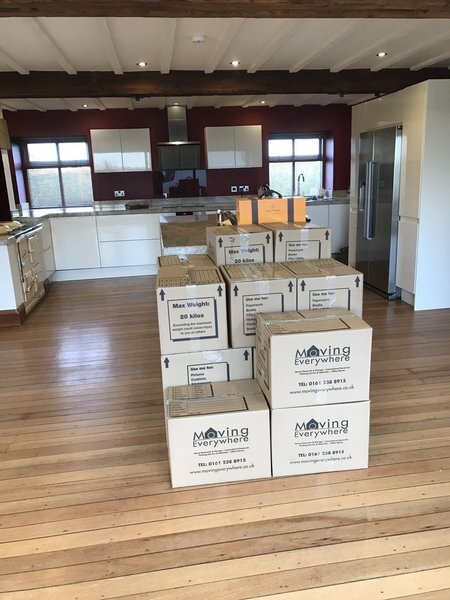 Our move progressed rapidly as Anton and John wrapped and packed conscientiously and Nick and Hayley stepped in to help. Much lifting and sheer grafting later by an unstoppable team and we were in our new home. Their after-move care - regarding locating a missing item or two (all safe and sound) - has been equally as good as prior to the move, and nothing seems to be a problem. They lived up to their reviews and I would use their services again. I can highly recommend moving everywhere. They were great. It was a last minute move but they managed to fit us in at a very reasonable price. Carl, John and Mike were really helpful on the day, nothing was too much trouble and they were really careful with our belongings. They made sure we were happy with everything before they left. The best removal team took care of every aspect of our house move to Liverpool from Manchester. Very polite young men, treated our property as if it was their own. Nothing was too much for them. Excellent service. I can not recommend this company highly enough. The lead up to the move was well organised, but the guys on the day were absolutely fantastic. Nothing was too much trouble for them. They worked a twelve hour day ensuring that everything was carefully transported and unloaded in the exact position we wanted. They were polite and friendly and very very careful. We were really impressed, so were the neighbours when they saw how hard they were working. Have no reservation in using this company, you will not be disappointed. And they were one of the cheapest too! I was recommended to use this firm by friends who had used them & I was so glad I did. Professional and friendly service, with a team of people who seemed to enjoy doing their job and giving a good service. Well organised and efficient from start to finish. 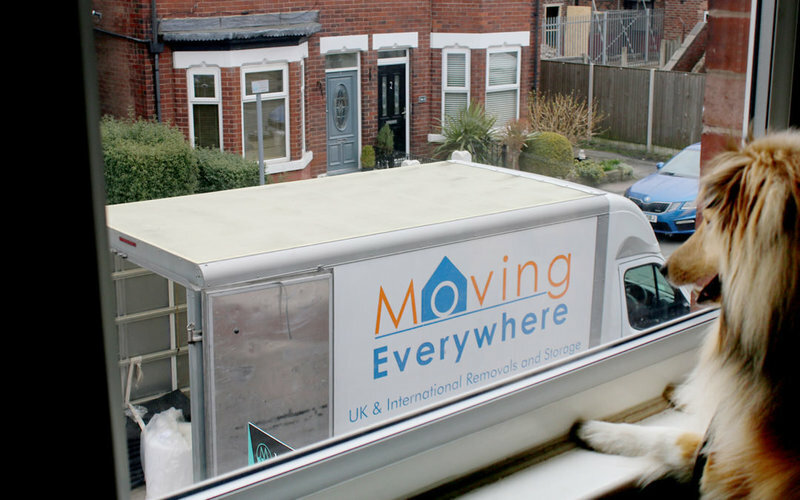 The guys at moving everywhere were brilliant from start to finish, polite, helpful, nothing was too much trouble. Highly recommend them.